Well, it's happened again. The world has come to an end. Damnit, Carl! I told you to leave that toxic waste alone! Now the city's overrun with zombies. But capitalism never let something like a horde of zombies get in the way of making a buck. There's supplies all over the city that have to be moved around and we can get contracted to move it. But we've gotta get things where they need to go on time or we might end up losing out on money we could've been making. 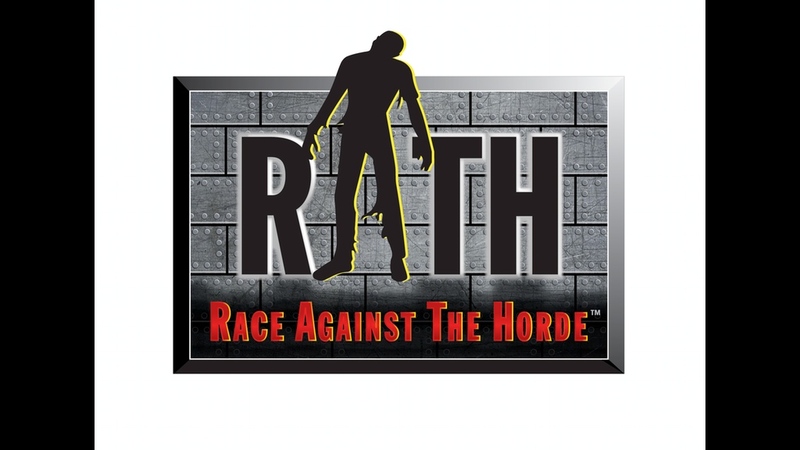 That's the story behind Race Against The Horde. The game's back up on Kickstarter. Third time's hopefully the charm. In the game, players take on the role of survivors of a zombie apocalypse. There's not very many resources left around, and everyone wants them. The vehicles that are left aren't all the greatest, either. Plus, while the city is mostly safe, there's still hordes of zombies around that can cause all sorts of havoc. Your job is to pick up contracts to move materials from one part of the city to the other. However, those zombies can crop up when least expected, causing delays. You've gotta get your cargo to its destination on time or your cut gets cut, possibly to the point of owing money to the people that hired you. The campaign's up and running now and is set to go for another 28 days.